I’m getting ahead of myself… First off, these are super simple to make. You’re basically using a boxed cake mix of your choice and a tube of cinnamon rolls. You can dress up your muffin mixture by adding shaved carrots and raisins to make these shall we say, “kinda healthy”? But for now, we will just keep things easy and make the recipe as is. Pre-heat oven to 350 degrees. Place muffin wrappers in muffin tin. In a medium bowl beat together all ingredients except the cinnamon rolls and icing. (If adding raisins or carrot shreds; gently fold them in at this time. ) Divide this batter evenly between the 8 muffin wrappers. Place in oven and bake for 8 minutes. 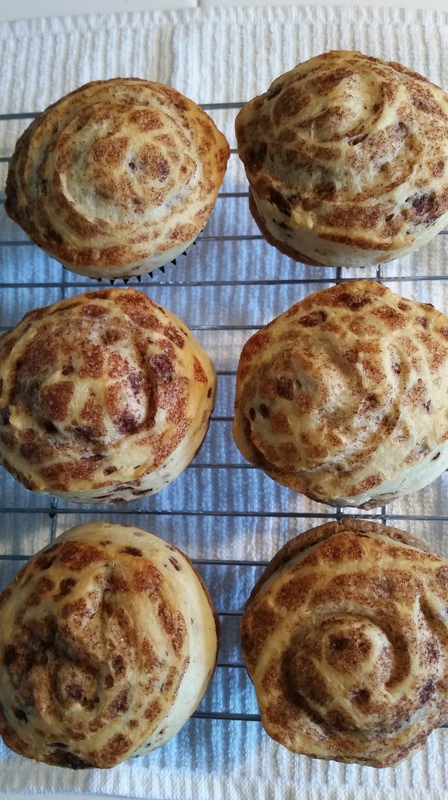 Next remove cinnamon rolls from tube and set aside icing. 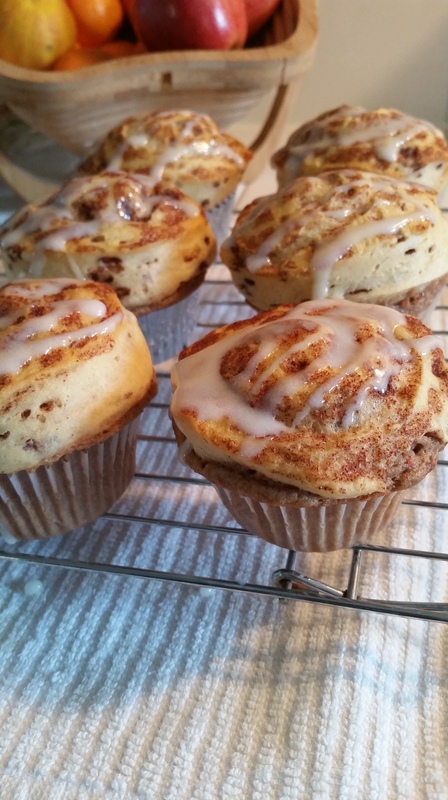 Take muffins out of the oven and place one cinnamon roll on top of each muffin. Place back in the oven and cook for an additional 12 minutes. Once golden brown, remove from oven and place on wire rack to cool. 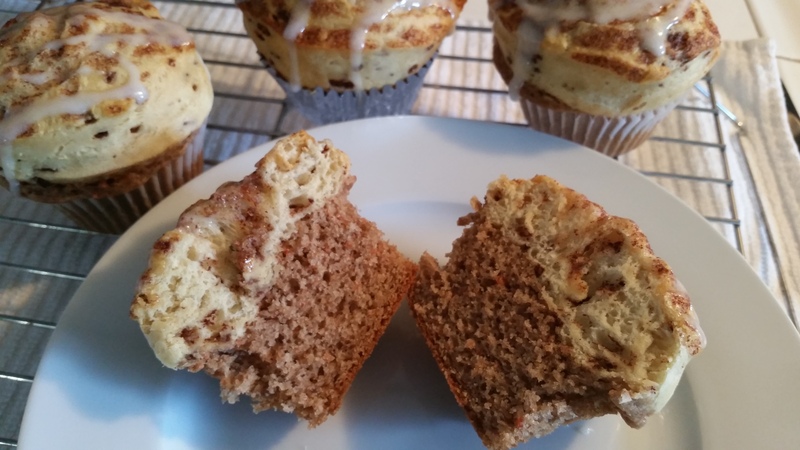 Using a fork drizzle the icing over the cinnamon roll muffins. Now, tell yourself: “I will only eat one of these with my coffee (tea)”. When no one is looking… Have another one. Your secret is safe with me!